Bbbrrr! Baby, it’s cold outside! Singer Pink (Alecia Moore) and hubby Carey Hart braved the chilly temps yesterday morning (December 12, 2013) in New York City to take a stroll with their daughter, Willow. The family was bundled up as they stepped out, wearing hats and thick, cozy jackets. Willow was rocking a hot pink cable-knit beanie-style hat, along with a pair of jeans and ruffled blue skirt, while mom and dad were matching, looking sporty in black coats and hats. Pink’s hat was true to character – edgy and fun, with spike details accenting the top! 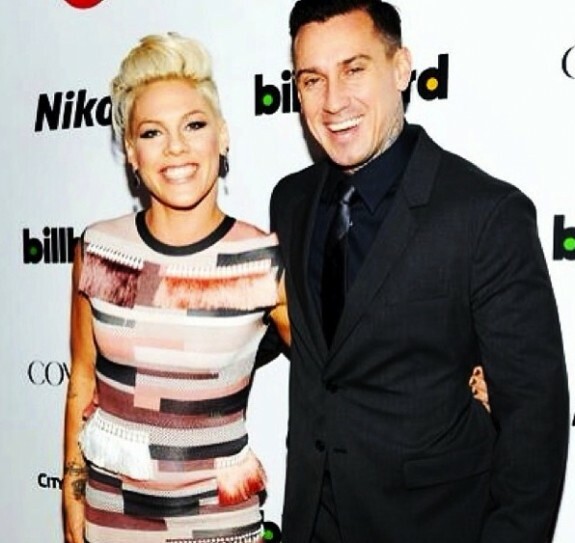 Pink has been on tour throughout 2013, working hard at promoting her latest album, The Truth About Love. It’s great to see her snagging a little R&R between shows and event appearances. It looks like she’s taking the time to enjoy NYC’s lights, energy, and most of all, some much-deserved quality time with the family!